Resolute partners with countless talented and dedicated individuals and organizations who share our commitment to responsible forestry. Here’s the story of Rigato/Ward Crossings’ most recent bridge construction, who completed the project efficiently, safely, and with due consideration for environmental best practices and cultural heritage values. Rigato/Ward Crossings is a Thunder Bay (Ontario) forestry contracting company with over 22 years’ experience in building forest access roads and water crossings. Their reliability and work ethic have long been recognized by registered professional foresters at Resolute, with whom Rigato/Ward regularly collaborates, as well as by independent accredited forest auditors. Company president Steve Ward takes great pride in his hardworking and well-trained team, which includes skilled technical and construction experts, heavy equipment operators and truck drivers. Professionals like Kyle Macadam and Michael Ward routinely tackle the most challenging bridge construction projects, culvert installations and crossing removals. As with Resolute, Rigato/Ward Crossings’ practices in the field are closely monitored for adherence to strict safety and environmental standards. The company’s commitment and proven performance is what Resolute and other responsible forest managers require to maintain sustainable and responsible forest management certification. 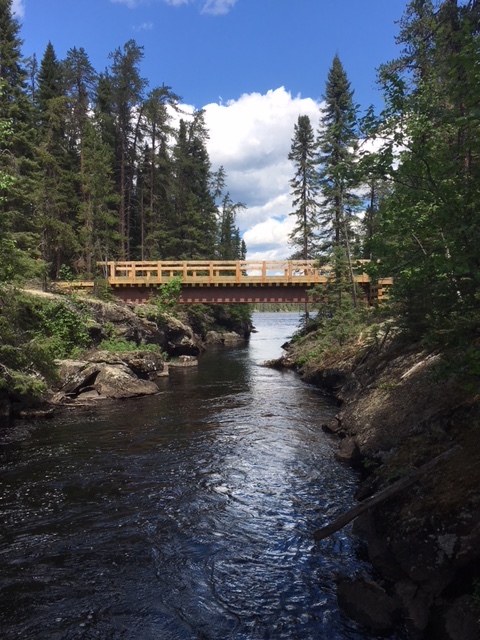 During a recent sustainable forest management certification audit, auditors specifically acknowledged the exemplary job Rigato/Ward had done on the building of the McWhinney bridge in northwestern Ontario. The project was uniquely challenging due to site conditions, which included a fishery as well as potential cultural heritage values. A data collection process determined the best location for the crossing, and a site assessment was done in collaboration with an archaeologist. 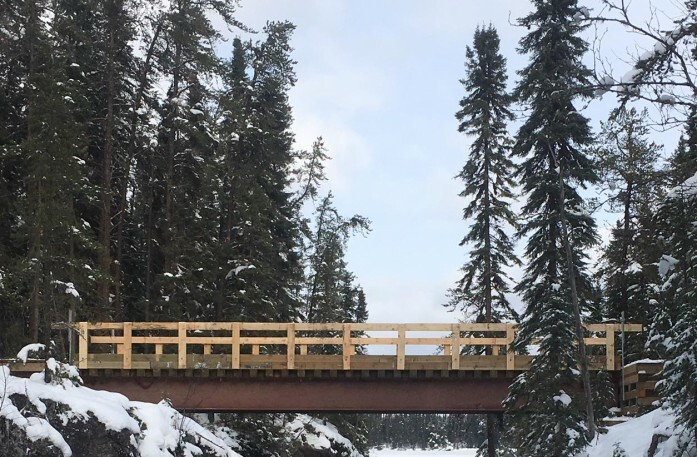 When the assessment found that in-stream building should be avoided, Rigato/Ward took the appropriate measures, building water crossing approaches and installing a temporary bridge to haul construction materials and equipment across the stream. Once the bridge cribbings were in place, large excavators lifted four steel stringers across the channel and set them in place. Pre-constructed timber decking was installed onto the steel stringers, and guiderails and hand rails were installed. Another forestry job well done! Jamie Arthurs, Operations Forester for the Black Spruce Forest in northwestern Ontario, collaborated on this blogpost.